Before you drop your hard earned cash on a new set of rubber, check out our all-inclusive tire guide. This article applies to the Toyota 4Runner (1984-2002). 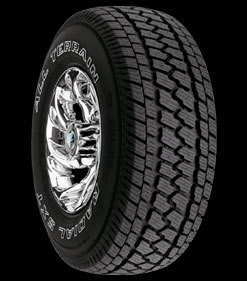 Tires are one of the most important, and perhaps the most underrated, components of any vehicle. Those four round pieces of rubber are the only thing that connects you and the thousands of pounds of steel around you to the road, keeping you from flying off of it. 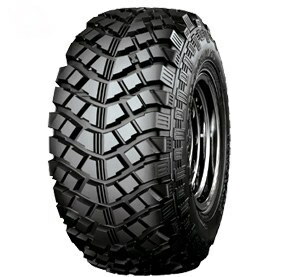 Tires give us grip in all sorts of conditions, from snow and ice to mud and sand. When it comes to tire types, there are four basic types available – summer, all-season, off-road, and winter. Summer tires give you superior traction on both dry and wet roads, and they give a sporty appearance. Summer tires are great if you live in a warmer climate that doesn't have harsh winters, as they give you very little to no traction on snow and ice. They can also be swapped out in the winter for a set of winter tires, which offer great traction in snow and icy conditions, but don't handle very well or last very long on dry pavement. Figure 1. Winter tires handle icy conditions very well. All-season tires don't offer the same dry weather performance as summer tires or the superior traction on snow and ice that winter tires do, but they are a nice compromise for both. Most new vehicles come from the factory with all-season tires because they are a good, all-around choice. If you are a serious off-roader who is more concerned with tackling the mud or trails, off-road tires might be the choice for you. This is especially true if you use your truck as a weekend toy and don't drive it on the highway much. Off-road tires are great off-road, but can be very noisy on dry pavement because of their aggressive tread patterns. 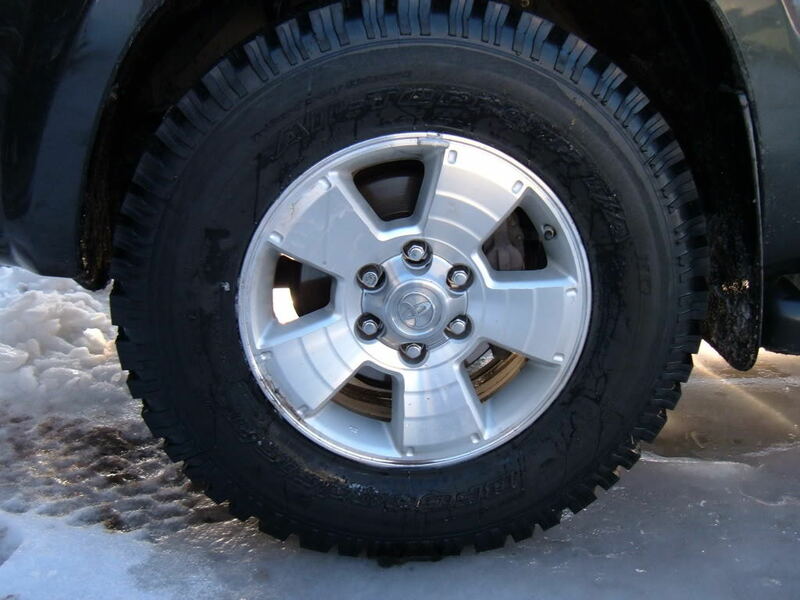 Summer tires aren't something you generally see on an SUV (unless it's a performance version), and they most certainly aren't commonly seen on 4Runners. The reasoning is simple – most 4Runner owners don't buy their vehicles for cutting corners at high speed. But if you are working on a Supra motor swap or simply don't care about going off-road, by all means check them out. We won't judge. Figure 2. 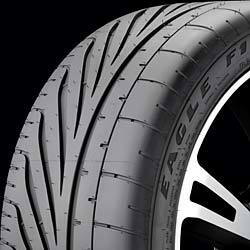 The Eagle F1 provides superior dry and wet weather traction. In the old days of tire technology, those who lived in the snow belt would bolt on a pair of studded tires once the white stuff started falling, or they would wrap their tires in chains. Technology has come a long way since then, and studless snow tires offer fantastic traction in the snow and ice, even over a set of all-season tires. Winter tires offer much less traction and wear out quickly when the roads are dry, however, so they are best kept on a spare set of wheels and swapped over just for the winter months. When temperatures warm back up, you can simply swap your stock wheels and tires back on. Figure 3. 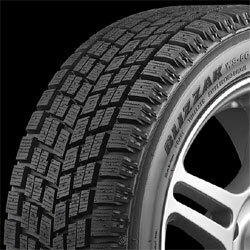 Winter tires like the Blizzak offer superior traction in snow and ice. All-season tires offer a year-round compromise and are able to be safely driven in all weather conditions. They don't offer the superior dry weather traction of summer tires, or the great snow and ice capability of winter tires, but they can be driven in both. This is why all-seasons are bolted on most new cars that come out of the factory, and why they are the most popular choice among tire shoppers. Figure 4. All-season tires offer compromise for year-round capability. Like you would imagine, off-road tires provide superior traction off-road, mainly due to their aggressive, knobby tread patterns. These tires are designed to keep you moving forward no matter how bad the terrain gets, generally at lower speeds. Their aggressive tread patterns also make them a bit of a headache on the highway, usually emitting a lot of noise and vibrations at speed. But if you want the looks and the capability that they provide, you can live with those minor inconveniences, right? Figure 5. Off-road tires give you serious capability in the mud and dirt. Toyota 4Runner, Tacoma, and Tundra: Why is the Tire Pressure Light On?